The scope of the event would reflect the level of Chinese gratitude to the countries who helped Beijing during the war. MOSCOW (Sputnik) — A record number of foreign heads of state will attend Beijing’s victory parade commemorating the 70th anniversary of Japan's surrender in World War II on September 3, Chinese Deputy Foreign Minister Cheng Guoping said on Thursday. "At the moment, 30 heads of state confirmed their consent to participate in the events, it will be the largest event in the history of China regarding the number of participating heads of states," he said at a press conference in the Russian Embassy in Beijing. 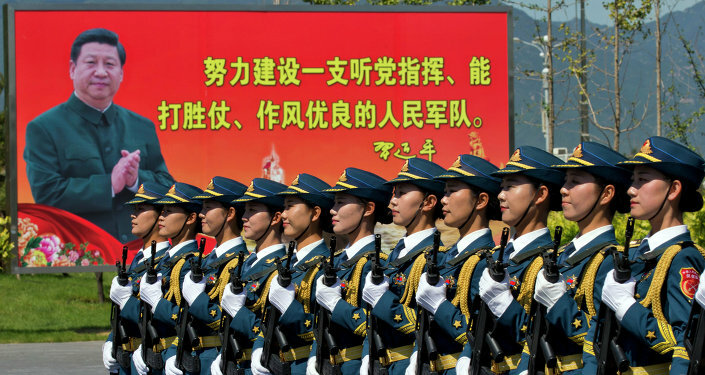 The diplomat added that the scope of the event would reflect the level of Chinese gratitude to the countries who helped Beijing during the war. "For as many as 14 years China had been carrying out resistance to the invaders. Therefore, the scope of this event in honor of the 70th anniversary of the Victory in the War of Chinese people's resistance against Japanese aggression is justified," the diplomat stressed. China suffered from Japanese militarism as early as in 1931 when the Japanese army occupied Manchuria. The Soviet Union came to China's aid, assisting in the surrender of Japan's Imperial Army in 1945. Russian President Vladimir Putin accepted the Beijing's invitation and will take part in the events devoted to the 70th anniversary of Japan’s surrender in World War II.